In this article, I’d like to share with you our experience with ecological washing 🙂 I’m so excited to finally find a natural way of washing our clothes gently as well as saving environment, Mother Nature and reducing our wastage. 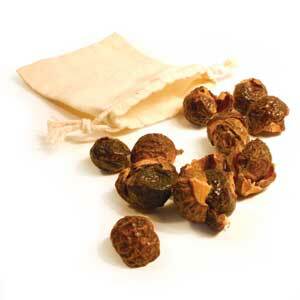 Have you heard about soap nuts? If not you should check it out! Mother Nature has been very clever (no surprise) and has given us everything we need. Sapindus Mukorossi tree is a deciduous tree found wild in north India, usually with 5-10 pairs of leaves, solitary with large drupes. This tree belongs to the main plant order Sapindaceae and family Sapindeae. The species is widely grown in upper reaches of the Indo-Gangetic plains, Shivaliks and sub-Himalayan tracts at altitudes from 200m to 1500m. Also known as soap-nut tree, it is one of the most important trees of tropical and sub-tropical regions of Asia. They are similar size to walnuts in their shells. So, how does it work? Simply buy them first (easily online or in your local health shops). I bought them in Santos in Byron Bay and 500g bag cost me $18 AUS. You normally use 3-4 nuts which you put in a cotton bag (usually provided with your purchase) or unmatched sock if you do not have a cotton bag. You need to close the bag tightly and put with your laundry with any material and any colours! What I experienced so far that the clothes is very soft with no particular smell so I tend to add a few drops of my favourite essential oils such as lavender, lemon or mandarin. Yes, no need for any softener!!! You can use those 3-4 nuts up to 3-4 times (depending on type of the water – harder water, more nuts you need for each wash and you may need to discard them after 2-3 washes simply putting them in your compost!). Very economical. I have calculated that it costs us about 12 pence per wash! You can even make a cleaning liquid or soap out of them! So handy, easy and you really reduce your wastage as well as protecting environment. Soap nuts are all natural, hypo-allergenic so great to use if you have babies or small kids with eczema or other skin condition, biodegradable, ecological, and economical!